After having no luck with train I had to return to the city and take a bus to Madgaon. With a genuine fare of 80 rs I reached Madgaon bus stand in 2 hours and then took another bus to Panjim and then another bus to Calangute beach that took another 2 hours. People worry about Goa that this is one tourist destination with overpriced hotels and is not friendly for people who travel alone but trust me this place is not. Goa is one place that suits everyone’s budget. For first timers it gets a bit difficult if they reach there without any proper research. In fact Goa is one of the best places to travel alone. Both North and South Goa have hotels and stays that charge minimal amount of 500 to 300 for a day with every facility included. A little bit bargaining can help as well depending on how good you are with it. Everytime I am in Goa it is a different experience for me, let it be in group or alone this place has something different to offer. This was the first time I was in Goa in October, the rains were about to go away and the place was not that much crowded with tourists. This was a typical Goa with more locals in sight and less tourists and hence less dirt around. Even Calangute that is the most crowded beach here was almost empty. Sadly because of this reason there was no adventure sports activity happening around and what even sad was that the day I reached there was a dry day. 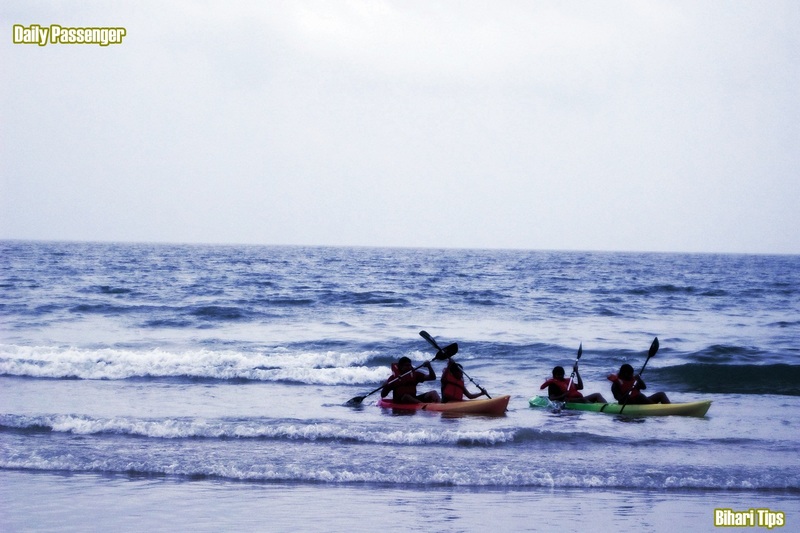 Without booze and adventure sports you are almost left with nothing to do in Goa. You can either hire a bike and travel on narrow roads of Goa or walk from Baga to Candolim so I chose to do the later. For an added advantage I had a camera so my day was not going to waste that much. By the time I reached Camdolim sun was already going down, the evening was pleasant and walking back was indeed pleasant. Best thing that happened was watch fishermen pulling out catch of the day, fighting against the sea waves and huge group of young and old men pulling their fishing net towards the shore. After enjoying this activity for a while and trying to unsuccessfully join the crew I returned back to my hotel, took some rest and went out for dinner. I think the hotel owner had his first experience with someone who was traveling alone and was very worried to provide me accommodation giving me as much as instructions as he could and himself came to check on me if I was in my room (probably alive) or not. Remember how I told a few blogs back that my badluck didn’t let me take the train to Goa from Karwar, it turned out that my luck was not that bad. If I had reached Goa that night I would be charged for two days as the check-out time in most of Goa hotels is between 9:00 to 10:00 in the morning and I was saved from that trouble. Next morning I took my back and travelled back to Panjim, I had to take a bus to Palolem beach and was planning to stay for a day there. As I reached Panjim bus stand I saw a cloak room where I deposited my huge bag. I took a bus to South Goa from Madgaon bus stand, I was expecting that I’ll reach there in an hour or so but to my surprise it took almost 3 hours to reach Cancona and another 20 minute to catch another bus for Palolem. Beaches in South Goa are better and cleaner than the ones in North Goa. 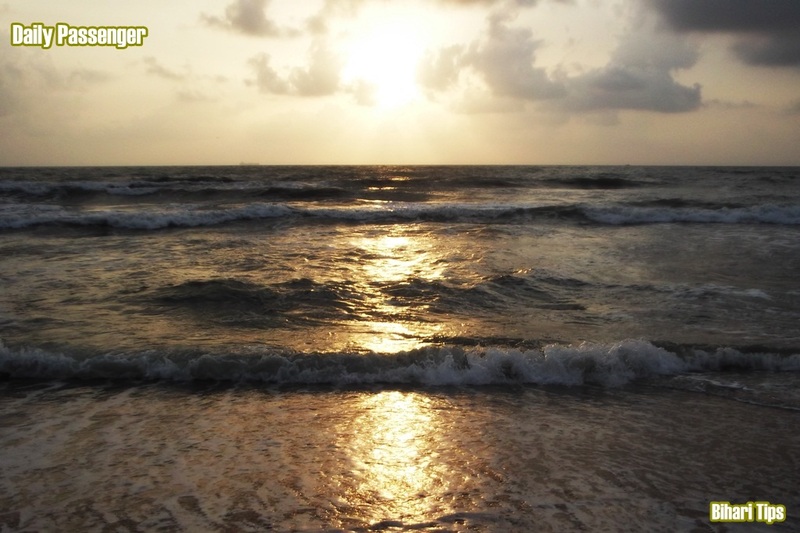 They don’t have much activity like Baga and Calangute but is a better choice if you want to spend your time with peace without any crowd in sight. I like Palolem because you get cycles on rent and biking here is easier and better. Roads are empty, there are fewer vehicles around and there are places that offer great view to take little stops while cycling. In evening I reached Panjim via Madgaon and took a bus for Bangalore. A phase of my travel that started from Gokarna ended here in Goa and another journey was about to happen in few days of time. But before that I had to keep this stupid bag somewhere so that I can travel with ease.